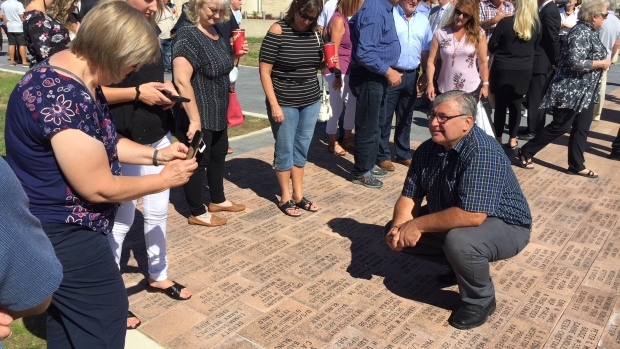 A special ceremony was held Thursday morning at Ontario Provincial Police headquarters in Orillia to unveil the newly installed Pathway of Memories. 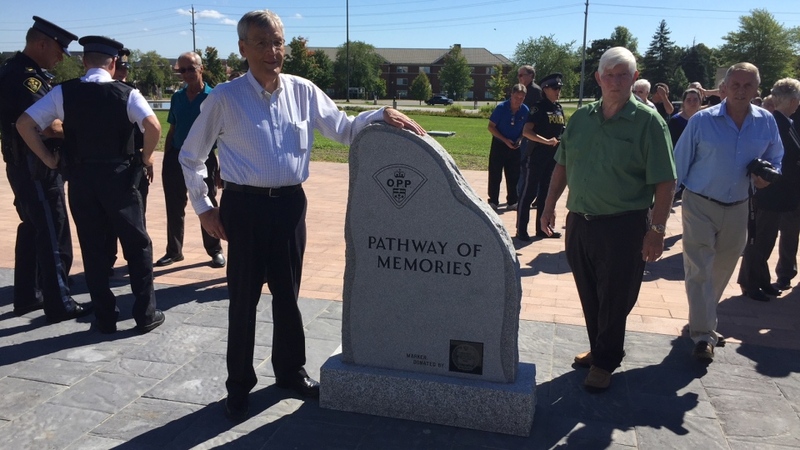 The stone pathway pays tribute to anyone who has contributed to the history of the OPP, including OPP members and spouses, still-serving and former civilian and auxiliary members, and volunteers. “Today's dedication ceremony marks the first installment of the 226 memory stones that have been donated and dedicated as a lasting and public record of service to those who have contributed to the OPP's legacy over the years,” says OPP Commissioner Vince Hawkes. Dozens of stones have so far been inscribed with the names of people who have made a positive mark on the police force. The Pathway of Memories helps raise money for the OPP’s Youth Foundation, which gives members resources to help create social and educational opportunities for disadvantaged youth across the province. 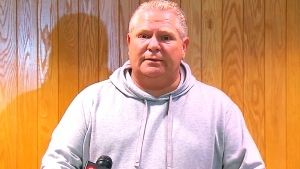 Bracebridge has declared a state of emergency amid rising water levels on several nearby waterways. Rising Saint John River frustrating swath of southern N.B.